Your shave is only as good as your razor. Van der Hagen’s Traditional Safety Razor is constructed with heavy-duty, chrome-plated brass. 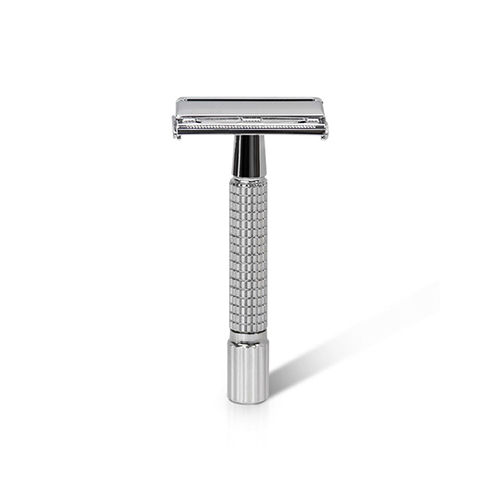 The compact handle is shorter than most razors, giving you a better grip and more control when trimming your whiskers. Also included are (5) double edge razor blades. 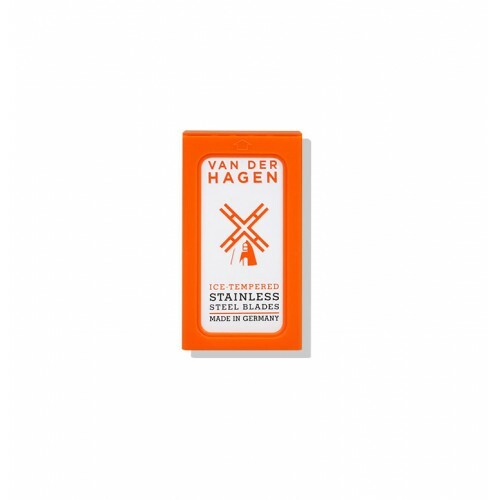 Manufactured in Solingen, Germany, these ice tempered stainless steel blades help prevent ingrown hairs, and are designed to give you a close, comfortable shave. Replacing blades has never been easier thanks to the razor’s butterfly opening, and the back of the cartridge holds your used blades! How to replace your razor blade: Twist the bottom of the razor’s handle to open the butterfly head. Slide the new blade out from the cartridge and carefully remove the tissue paper. Please be careful to hold the blade at the unsharpened edges. Then, slip the blade right in the head, twisting the bottom of the handle to completely close the butterfly. Discard your used razor blades by placing them in the back slot of the razor cartridge. 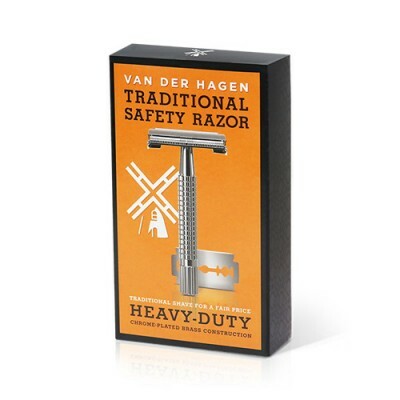 Warning: Throwing away unprotected razor blades can lead to serious injury.